Back in early February, Atlantis Sportsbook in Las Vegas became the first oddsmaker to post win totals for the 2017 MLB season. Although many books had been hanging World Series odds for several months, this offered our first glimpse into the projected final standings for the upcoming season. Almost two weeks later, the Westgate Las Vegas Superbook posted their own MLB win totals with a few notable differences like the Royals and Athletics. Hopefully bettors followed our advice and took Oakland Over 66.5 early on. The table below displays the win totals for every team along with last season’s record. 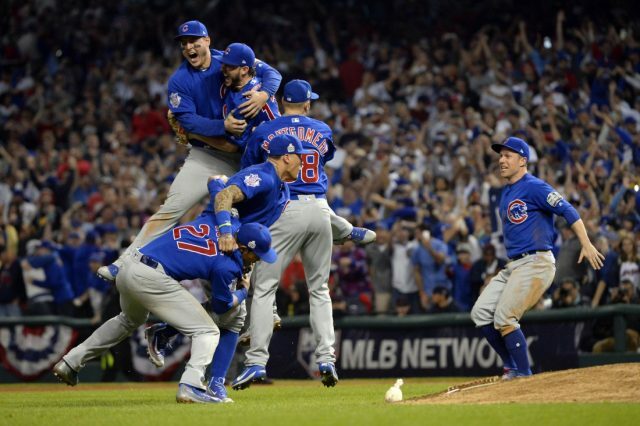 After winning their first World Series since 1908, the Chicago Cubs opened with the highest win total (95.5) for the upcoming season. In fact, this was the highest opening win total in several years. The San Francisco Giants (90) opened with the highest win total at the Atlantis last season, the Washington Nationals (93) opened with the highest total in 2015, the Los Angeles Dodgers (94) opened with the highest win total in 2014, and the Detroit Tigers (93.5) opened with the highest win total in 2013. It’s also worth noting that the Cleveland Indians opened with a higher win total than the Boston Red Sox at both Nevada books, even though the Red Sox have better odds of winning the World Series. That’s based largely on strength of schedule, as many teams in the AL Central are still rebuilding (like the Twins and White Sox) while there are several playoff caliber teams in the AL East. In fact, the Indians are -600 to win their division. We will continue to update this article as more sportsbooks post their win totals in the upcoming weeks, but make sure to bookmark our free MLB odds page for the latest lines, betting trends, injuries, futures and more. Atlanta was one of the better teams down the stretch last year. They seemed to finally figure things out. They also had a really good off-season and if they finish off this move for Phillips that’s another win. 71.5 seems quite low. That’s the one that immediately stands out for me.